After John DeMetro suffered a debilitating arm injury on the job in 2005, he began to slip on paying his mortgage. Though Walmart, his employer at the time, paid for the 19 surgeries and 2½ years of therapy that it took for him to recover, DeMetro, of Utica, N.Y., said that he could no longer work enough hours to keep up with the interest rate on his adjustable-rate mortgage, which spiked at around the time of his injury. Over the course of six years, DeMetro said, he tried to fix the situation himself, applying for a loan modification but being rejected three times. It wasn't until January that he finally got some help: He consulted with the NeighborWorks HomeOwnership Center, a free government-subsidized housing counseling organization whose persistent efforts finally got his interest rate lowered from 13 percent to 3 percent. Housing advisor Rose Marie Roberts (pictured below) acted as an intermediary between DeMetro and his bank, keeping track of his paperwork and submitting it over the Web. Purpose: Lower your monthly mortgage payments. • You obtained your mortgage on or before January 1, 2009. • You have a financial hardship and are either delinquent or in danger of falling behind on your mortgage payments (non-owner occupants must be delinquent in order to qualify). • You have sufficient, documented income to support a modified payment. • You must not have been convicted within the last 10 years of felony larceny, theft, fraud or forgery, money laundering or tax evasion, in connection with a mortgage or real estate transaction. See the Making Home Affordable website for more details. Purpose: To allow homeowners with Fannie Mae or Freddie Mac-guaranteed mortgages to refinance into a lower rate. The program primarily targets "underwater" homeowners, borrowers who owe more on their mortgages than their homes are worth. The Obama administration recently lifted a cap that prevented homeowners whose mortgages were more than 125 percent the value of their homes from qualifying. That has extended the program to a much wider swath of homeowners. • The mortgage must be owned or guaranteed by Freddie Mac or Fannie Mae. • The mortgage must have been sold to Fannie Mae or Freddie Mac on or before May 31, 2009. • The mortgage cannot have been refinanced under HARP previously unless it is a Fannie Mae loan that was refinanced under HARP from March-May, 2009. • The current loan-to-value (LTV) ratio must be greater than 80%. • The borrower must be current on the mortgage at the time of the refinance, with a good payment history in the past 12 months. Next Steps: Determine if Fannie Mae or Freddie Mac owns your mortgage using their Loan Lookup Tools. You can also contact your current mortgage servicer or another that is approved by Fannie Mae or Freddie Mac to inquire about HARP. You can alsocompare rates and costs with additional mortgage companies to ensure best refinance terms. Purpose: To allow homeowners with FHA-insured mortgages worth more than their homes to refinance into a lower rate. • Your mortgage is not owned or guaranteed by Fannie Mae, Freddie Mac, FHA, VA or USDA. • You owe more than your home is worth. • You occupy the house as your primary residence. • You are eligible for the new loan under standard FHA underwriting requirements. • Your total debt does not exceed 55 percent of your monthly gross income. • You must not have been convicted within the last 10 years of felony larceny, theft, fraud, forgery, money laundering or tax evasion in connection with a mortgage or real estate transaction. Next steps: Talk to your mortgage owner to see if they want to participate in an FHA refinance. Or talk to an HUD-approved housing counselor for free. Purpose: To help people who can no longer afford their mortgages to transition to more affordable housing. The program provides two options: a short sale or a Deed-in Lieu of foreclosure. • You live in the home or have lived there within the last 12 months. • You have a documented financial hardship. • You have not purchased a new house within the last 12 months. • Your first mortgage is less than $729,750. For more information, see the Making Home Affordable website. Purpose: Get free advice on buying a home, renting, defaults, foreclosures, and credit issues. General eligibility guidelines: This service is open to everyone. Next Steps: Search for a HUD approved housing counselor near you, or call 888-995-HOPE (4673) for free, comprehensive assistance around-the-clock. Purpose: To help unemployed people manage mortgage payments. The program can either reduce payments or suspend them altogether for 12 months or more. • You are unemployed and eligible for unemployment benefits. • You have not previously received a HAMPSM modification. • You owe up to $729,750 on your home. Next steps: Contact a HUD-approved housing counselor at 888-995-HOPE (4673). They will help you understand your options, design a plan, and prepare your application. You can also contact your mortgage servicer to see if you are eligible. See the Making Home Affordable website for more information. Purpose: To recover damages if financially injured during a foreclosure from 2009 to 2010. • Your mortgage loan was active in the foreclosure process between January 1, 2009 and December 31, 2010. • The property was your primary residence. • You had one of the providers listed here. Next Steps: Fill out the form for a free independent foreclosure review here. Make sure to send the form by September 30, 2012. It turns out that NeighborWorks was available to DeMetro the whole time -- and could have gotten his situation under control long ago. But he waited years to seek it out because he was unaware that it even existed. He speculates that that may have been because, as with so many other mortgage assistance offers flooding his mailbox, he was afraid of scams and overlooked it. "Everybody thinks that everything is a scam," DeMetro said. "So you think that always, and you kind of don't notice [the legitimate programs]." Indeed, experts say that many distressed homeowners fail to seek government-backed housing assistance for the same reason. 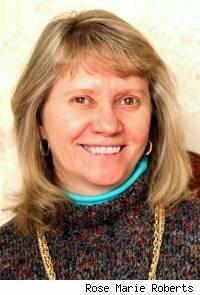 In a survey of homeowners conducted in May by Money Management International, a financial counseling organization approved by the Department of Housing and Urban Development, 53 percent of respondents cited fears of scams or fraudulent services as reasons why they wouldn't seek help from housing counseling organizations. While skepticism of mortgage-assistance offers can be a good thing, it can also cause homeowners to miss out on meaningful help. A study by the Urban Institute found that HUD-backed housing counseling groups help increase the chances of homeowners scoring a loan modification by 89 percent. And a separate study from HUD found that nearly 70 percent of surveyed homeowners who used counseling obtained a mortgage remedy. But many borrowers remain unaware of housing counseling's existence, let alone its impressive results. "If we did have marketing dollars -- and the government could put in more marketing dollars -- then we could get the word out. But unfortunately we're not at that point," said Joanne Kerstetter, vice president of education and community relations at Money Management International. 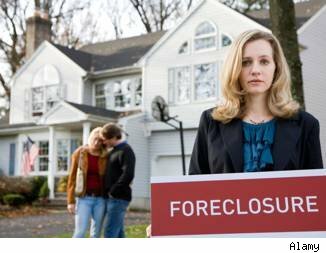 Still, the National Foreclosure Mitigation Counseling program has reached 1.3 million homeowners since its launch in 2008, reports NeighborWorks America, which administers it. But other assistance programs are not reaching as many homeowners as consumer advocates would like. A foreclosure review program launched by the Federal Reserve and Office of the Comptroller of the Currency last year aims to provide redress to homeowners who lost their homes to illegal foreclosure. But as of April 20, only 4 percent of the 4.1 million borrowers who were mailed questions about the review actually asked for one -- despite revelations that banks had committed foreclosure improprieties on a mass scale. Banks settled an investigation into foreclosure abuses by agreeing to pay a $25 billion fine to 49 states in February. Likewise, the Home Affordable Modification Program had set a goal of reaching 3 million to 4 million borrowers. Only 990,000 homeowners had taken advantage of a HAMP modification as of March 2012, according to HUD's April Housing Scorecard. In an effort to boost the program, the Obama administration recently tripled subsidies to banks who perform the modifications. Perhaps one of the reasons why the program hasn't aided more homeowners is because some distressed borrowers "practice denial," said Jack Guttentag, an emeritus professor of finance at the University of Pennsylvania's Wharton School who offers mortgage advice on his website, mtgprofessor.com. Traumatized by a deluge of debt-collecting calls and letters, some homeowners retreat into themselves, Guttentag said. "You put your head in the sand, and you hope it will go away -- which, of course, it never does." DeMetro can understand that. He says that he and his wife were embarrassed by their financial situation, so they kept mum on it. "People just don't talk about it," he says. "We didn't tell anybody, either. Nobody says, 'I'm in trouble with my mortgage.' "
Daren Blomquist, vice president of online listing service RealtyTrac, mentioned yet another reason that borrowers in a state of foreclosure don't take advantage of government-backed programs like HAMP or housing counseling: They don't mind living in their homes for free. "Anecdotally, what we've heard from some servicers is that not all of these borrowers really want to be saved from foreclosure," Blomquist said. "They're in a situation ... where they haven't been making any mortgage payments for one or two years or more." DeMetro says that if he hears from any of his peers about their mortgage problems -- which he hasn't yet -- he'll take them straight to NeighborWorks HomeOwnership Center's doorstep. "I would give them [my adviser's] phone number, email, take them there, whatever," he said.